I grew up on the waterfront of a small island in the Strait of Juan De Fuca in Washington State which set the ground work for a lifetime of maritime experience. At a very young age I worked in a seafood packing facility where I operated small boats and barges for commercial purpose; as a young adult I did offshore passages including Seattle to California, and California to Hawaii; I have been instrumental in life saving rescues at sea, I have crewed on many racing sailboats, chartered and captained many vessels in the Caribbean, lived on sailboats for about a third of my life; I posses a merchant mariners Masters 50 ton Captains license; I founded and operated Sea Tours, Inc., a commercial maritime tour business in North Carolina. Most recently I have purchased a blue water catamaran with the intent of using my skills and experience for a greater purpose. · Pre 1970; Various experience on navigable flotsam, pole powered rafts, skiffs, derelict boats, but perhaps most importantly the childlike observances and realities of what sometimes floated up on the seashore. · 1970-1975: Carl H. Johnson Seafood: Nordland WA; as a young teenager was responsible for virtually all aspects of a seafood packaging facility. It included operating boats to pick up harvested clams in varied weather conditions and times of day and night, Oyster harvesting by barge, cleaning and packaging, and delivery to restaurants in Seattle. · 1975: worked at Port Ludlow, WA fuel dock, fueling vessels and managing day to day operations of a marina facility. 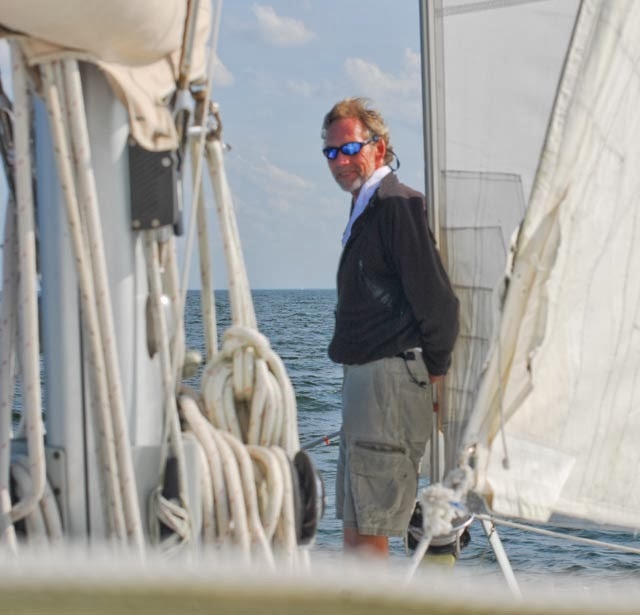 · 1976: Purchased and refit a small Snipe sailboat in Biloxi MS. Sailed extensively in the Back Bay and Gulf of Mexico. · 1980-1987: Purchase and refit a Hershoff H28 Ketch in Seattle Washington. Lived aboard for 7 years. Sailed frequently in the Straits of Juan De Fuca, the Puget Sound, San Juan Islands, and the southern Canadian Islands. · 1982: Sailed from Seattle to San Francisco then to Hawaii with one friend on a Swedish built 32’ Seniorita Helmsman. Did many sailing passages within the Hawaiian island group. · 1988-1995: Purchased and refit a Pearson Alberg 35 sailing sloop. Lived aboard for 7 years at Pier 39 in San Francisco. Sailed San Francisco bay and locally up and down the central Pacific coast. · 1995-2003: Chartered and captained many times sailing mono-hulls and catamarans in the Grenadines, British Virgin Islands and the Caribbean. · 2003-2006: Purchased and up-fit a Zodiac 16 man RIB and operated Sea Tours, Inc., a “family” tour business focusing on local Cape Fear maritime history. · 2012; Conceptualized “Hands and Fleet” as a path to using sailing knowledge and skills for humanitarian purpose. · 2012: Purchased a Lagoon 42 foot blue water catamaran. Currently living aboard and preparing it for what the future holds. · Bachelors of Arts, Economics; Minor in International Business; San Francisco State University, California.